WCF is a new communication subsystem to enable applications, in one machine or across multiple machines connected by a network, to communicate. 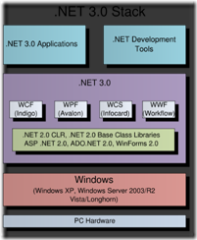 WPF is the graphical subsystem feature of the .NET Framework 3.0 and is directly related to XAML. WCS is a framework developed by Microsoft which securely stores digital identities of a person, and provides a unified interface for choosing the identity for a particular transaction, such as logging in to a website. 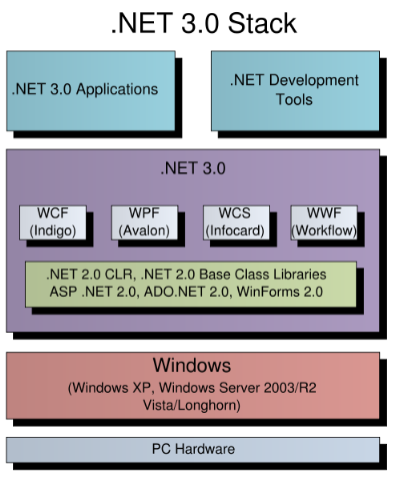 WWF is a Microsoft technology for defining, executing, and managing workflows.